new Government of Canada pilot program will match applicants for permanent residency to jobs in rural Canada. The community-driven initiative aims to address ongoing labour shortages in rural and northern communities of Ontario, Manitoba, Saskatchewan, Alberta, British Columbia, Yukon, Nunavut and Northwest territories. The objective of the five-year economic immigration pilot project is to stimulate economic growth in communities that have, in recent years, seen population declines, and have job vacancies for mid-level positions that are never filled. The Rural and Northern Immigration Pilot promises to link communities experiencing labour shortages to the one source that can supply a steady stream of human capital – immigration. 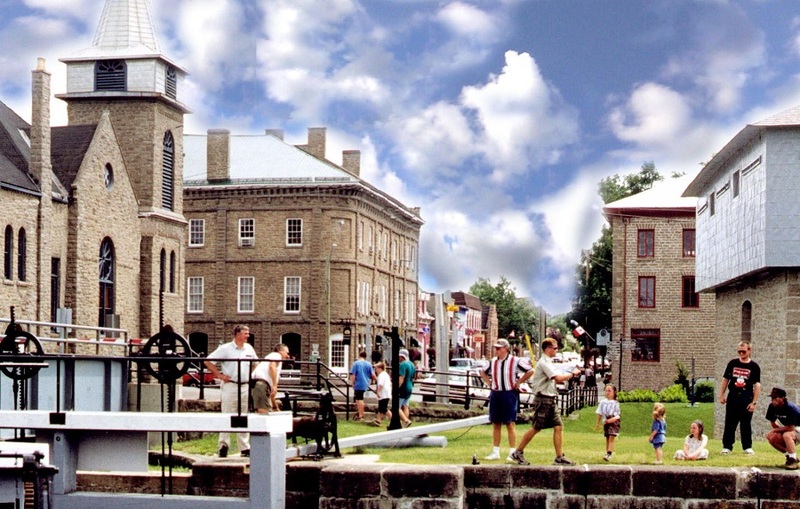 Merrickville calls itself “The Jewel of the Rideau.” It is located near Kingston, halfway between Montreal and Toronto, and close to Ottawa. Launched in 2019, this pilot program aims to rejuvenate rural Canada, while answering the prayers of thousands of potential new Canadians who are seeking a new start to their lives. Each year during the next five years, Canada will bring 2,750 principal applicants and their families to these outlying areas of Canada. Communities wishing to be a part of the initiative will enroll in the pilot by demonstrating their capacity to respond to the influx of human resources through social capital, supportive infrastructure and readiness to welcome and settle newcomers. The deadline for communities to get on board is March 1, 2019. Check out some smaller Ontario towns and cities all within driving distance of Toronto. Thirty percent of Canada’s GDP is derived from rural Canada, where the workforce between 2001 and 2016 has shrunk by 23 percent. The percentage of retirement-age population has steadily increased, while the potential for work and economic benefits remain. Some 78 percent of immigrants tend to settle in large urban areas in Canada, where friends, family and established ethnocultural communities exist. The vision of newly arrived immigrants is no different. This five-year plan aims to assist rural communities to set themselves up as attractive, welcoming and economically viable for newcomer settlement, by offering supports. The Northern and Rural Immigration Pilot could tap into the best practices of previous approaches to community-driven programs, where community collaborative efforts have included business and service sectors working closely with government to settle and integrate newcomers into the local environment. Canada, the second-largest country in the world by land size, welcomes immigrants on an ongoing basis through various programs, initiatives and pilots. The Atlantic Immigration Pilot Program implemented in 2017 has been successful in driving economic growth in the provinces of New Brunswick, Nova Scotia, Prince Edward Island and Newfoundland and Labrador. So far, 734 principal applicants along with their families totaling 1,562 people, have been approved for permanent residency. Those with a population of less than 50,000, and located at least 75 kilometers from centres boasting a population of 100,000 or more. The pilot will operate through the respective provincial nominee programs of the identified provinces and territories. The local community and economic development office for each community is expected to play a key role in matching candidates to local job openings. Potential candidates will have to wait until later in 2019 when participating communities would have been designated, and the parameters respecting candidate applications defined. Contact us for more information, and to discuss whether the Rural and Northern Immigration Pilot might be a route to Canada for you. The coveted Invitation to Apply (ITA) expires within 90 days. If you get an ITA, you need to get moving on it right away. he coveted Invitation to Apply, or ITA, is a sought-after opportunity to come to Canada. All applicants want one. Fewer than one in four of all profiles in the Express Entry pool receive an ITA. Once you have an ITA, you have a use-it-or-lose-it opportunity. Immigration consultants have two big advantages over the do-it-yourself approach: A good consultant does this work frequently, and is fast and accurate, with a system for tracking what you need to make good your ITA on time and with precision; and not being you, the consultant isn’t as emotional or under the stress about the ITA as you are. That makes things go more quickly. If you have received an Invitation to Apply, you need to take the next three months of your life very seriously. This is one of life’s use-it-or-lose-it opportunities. Click here for some vital information on turning your precious ITA into your opportunity to settle in Canada. The Government of Canada has no ‘Visa Lottery.’ There is no such program that enables an applicant to ‘win’ a chance at immigration to Canada. ate in 2018, we were still receiving inquiries from individuals all over the globe, and particularly from Africa, about something called a new Canadian Visa Lottery Application that purportedly allows applicants a chance to come to Canada on a permanent resident visa. I have reviewed the posts and links that people have sent me with Canadian Visa Lottery Application Form 2017/2018 and Canadian Visa Lottery Application Form 2018/2019. This is a scam. This Canadian Visa Lottery scam is a deliberate attempt to mislead you. It is a fraudulent attempt by certain websites to mislead you, and obtain your personal data, obviously with questionable intent. Please beware of any posts and websites that tell you there is a chance to ‘win’ permanent residency in Canada through a lottery-type system. The Government of Canada has no such program or initiative. There are more than 60 programs of the Government of Canadian to facilitate access to Canada, whether for temporary residency, or permanent residency. Additionally, there are special programs, initiatives and pilots that are administered by Canada’s 13 provincial and territorial governments that will allow you, based on their own set of criteria, to legitimately come to Canada. These, along with a solid and reputable consulting firm like Upper Canada Immigration Consultants, are the only authorities that can provide you a chance to come to Canada. Do not be misled by something that sounds too good to be true, because it likely is just that. Join our e-newsletter mailing list to receive periodic updates and latest news and tips.